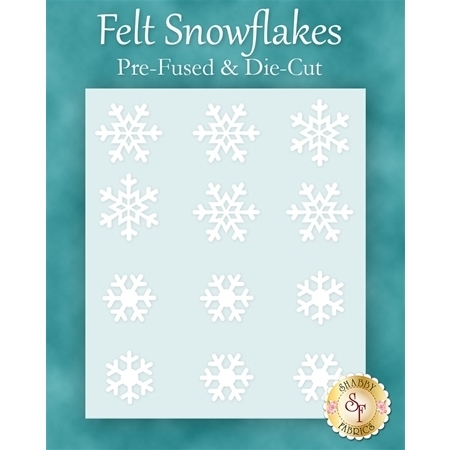 These die-cut and pre-fused snowflakes are not only adorable, but make a great addition to any winter project. They are great for beginners and quilters of all skill levels. This pack comes with 12 snowflakes - 2 styles with 6 snowflakes per style.